It’s not that they’ll get everyone to “eat the rich.” It’s not that they will manage to unite all teachers in a progressive political wave that will sweep through America’s 2020 elections. They won’t. 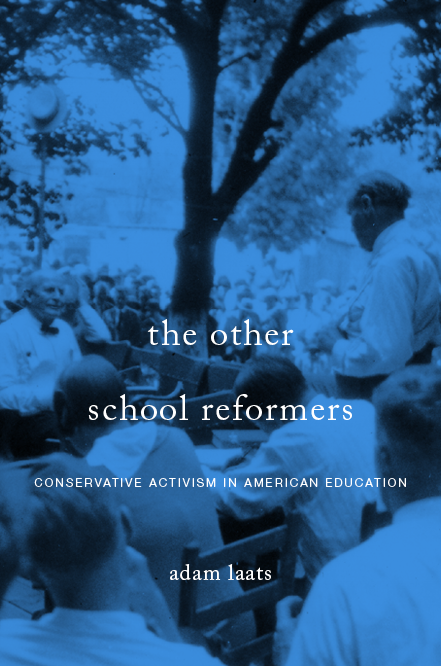 Teachers are now and have always been a mixed bag, ideologically. But in today’s divided polis, a group like the unions still has enormous potential for good. Pundits who dream that today’s wave of teacher strikes will bring a progressive millennium are fooling themselves. Anyone familiar with real teachers can tell you: We’re not easy to pin down. Sure, some teachers like me have a deep progressive political streak. But just go to any teachers’ lounge and you will hear a dizzying variety of political opinions. 1939: One leader of a conservative campaign against left-leaning textbooks, Bertie Forbes, liked to tell a story: He was minding his business as a magazine editor when he was approached by teachers from his local New Jersey school district. These teachers, Forbes liked to recount, begged Forbes to get involved in educational politics. The teachers hated the lefty textbooks and wanted political support to teach old-fashioned patriotism in their local public schools. 1950: As Pasadena, California reeled over alleged progressivism in its classrooms, one teacher took to the editorial pages of the local paper. We teachers, she insisted, are not “in full accord with the tenets of progressive education.” She wanted old-fashioned tradition in the classroom, including corporal punishment. The progressive slop on offer, she wrote, led only to “arrogance, hostility, and defiance, even vandalism.” Teachers like her were on the front line against socialist “Pressure and propaganda” and they wanted the support of the conservative public. 1962: Who led the fight to battle communism? It wasn’t only the conservative American Legion. Throughout the cold war, including in this 1962 mash-up, National Education Association members teamed up with the Legion to purge left-wing propaganda from the nation’s public schools. 1974: In Kanawha County, West Virginia, a new set of textbooks sparked violent culture-war protests. One teacher took the opportunity to voice his ideas about proper public education. On December 12, 1974, public-school teacher Karl Priest reminded the National Education Association that its policy was always to combat discrimination. The new textbooks, Priest insisted, were “in fact, anti-Christian.” [Emphasis in original.] Teachers like him, Priest argued, were correct in their conservative fight against such discriminatory claptrap. These days, too, teachers are hardly politically united. Even those who support today’s strikes cannot be assumed to be unified on any other political issue. Teachers, in other words, won’t become the left-wing vanguard that activists have dreamed of for decades. But that doesn’t mean that today’s teachers’ unions won’t have a huge impact. As politicians are split more and more toward the far edges, any group that can unite disparate people toward specific goals can serve as a beacon of hope. What if politicians could act more like teachers’ unions? The promise of the teachers’ unions doesn’t come from the fact that teachers are becoming more politically homogenous. The promise, rather, is that teachers’ unions are able to take action toward important goals in spite of the fact that their constituencies disagree on almost everything else.